When asked what he does for a living, Tyler likes to introduce himself to new people by saying, “I make YouTube videos” … and watch the horrified look on their faces. He clarifies, “I make educational YouTube videos, and a lot of people watch them”. Suddenly their faces light up. They ask what his channel is. Then they go home and check it out, and they’re horrified again. Tyler doesn’t make “edutaining” videos … these are serious educational videos that somewhat replicate one-on-one tutoring, as opposed to some flashy, silly, stick-figure efforts to give a high level introduction to science. These are for learning deep concepts, designed to help struggling students better understand challenging topics. This is not to say they are jargon-laden, dense videos that are difficult to understand. Tyler uses low tech tools like cut out, colored pieces of paper. He is very passionate about understanding and leveraging how young students learn to learn. 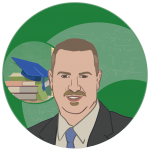 So why is Tyler so passionate about flipped learning? He starts with, “let me tell you a story …” Tyler sat down at the piano and started playing a 1950’s boogie-woogie style riff, then he asked every one to stand up and dance! After shaking everyone up a little this way, he launched into a story about his dad. His father loved rock and roll and he wanted to become an R&R musician. He begged his mother to let him learn the piano. She eventually gave in and signed him up for lessons. The teacher showed him scales and told him he was to practice them every day. This went on for a few weeks, and his father just couldn’t stand it – he wanted to learn a song! He complained to his mother and she asked the teacher, can’t he just learn a song? She said “no” – he needed a year of finger exercises, and then he could ease into classical music (and not that “rock and roll” stuff!). Well, his dad ended up quitting lessons. The moral of this story: a forced, rigid instructional method, burdened by tradition and a “this is just how it’s done” mentality (clearly not student-centered) resulted in the disengagement of a passionate student. His father came to the topic with enthusiasm and drive, and this old-school teacher and her archaic, “learning needs to be hard” approach only succeeded at squashing a young boy’s desire to learn. Unfortunately, this is an all-too-apt metaphor for how teaching works in too many situations today. There was a total lack of flexibility in terms of understanding how to engage the student, and a stubborn insistence on teaching the subject in what the teacher perceived as “the right way”. We “educationalize” concepts. We add prerequisites. We require a linear progression. We obscure concepts with language and jargon. We build lessons as if “there is only one way to learn” a topic. For example: We don’t start with fun aspects of animals and biology until we spend several chapters on how to classify all the animals in the animal kingdom. Or maybe we have students who have seen Jurassic Park and are jazzed to learn about DNA and genetics, but before they can learn about “cool”, engaging ideas, they must be dragged through nucleotides and other complex, dense technical concepts. If you try to find textbooks and learning materials that provide introductions to this material from a higher level, in an interesting way, before getting into the deeper content, you’ll probably hit a brick wall. Good teachers often attempt to break challenging topics down and do what the textbooks don’t. They figure out how to make it engaging and accessible. Breaking it Down. Making it Accessible. DeWitt explained how he was teaching a lesson on viruses. The text book had this to offer: “Bacteriophage replication is initiated through the introduction of nucleic acid into a bacterium”. Say what? A 13 year old is going to understand this? No. How about we storify this to introduce it instead? Tyler translated this to a story about Bacteria and Viruses – he made them characters. Once upon a time there was a piece of Bacteria and one day Bacteria doesn’t feel so good. Soon he sees his skin ripping apart and he sees a Virus sticking his head through his skin! He soon falls apart as Viruses rip him to pieces! Terrifying! The Virus has to slip some of his DNA blueprint into the Bacteria. The Virus’s DNA carried instruction to the Bacteria that told it to destroy the Bacteria’s DNA, then he directed it to make lots and lots of copies of himself (the Virus). Eventually the Bacteria splits open and the new Viruses seek new Bacteria to replicate in. Thanks to the effort he put into thinking through how to best illuminate this concept, we quickly come to understand the underlying idea: viruses can start to make copies of themselves by slipping their DNA into a bacterium. Why is Education Like This? DeWitt cited several elements of the mindset that has education is mired in the staid approach to all too often serves as ‘teaching’. The “cult of seriousness” – there is this deeply ingrained perception that education has to be serious business, that it can’t be fun. “Finger exercise” pedagogy – the idea that every prerequisite has to be addressed in order for students to move through learning a topic, we can’t possibly teach B before we teach A. The tyranny of precision – everything has to be exacting, no room for misinterpretation (hence no simplification). The sciences quickly expose the fallacy inherent in this approach, as over time our understanding of science continues to evolve and even the most “precise” explanation of a topic is subject to ultimately being inaccurate. Relax … getting students to understand something at a broad yet “incomplete” level is a fine place to start. We need to break out of these limiting ways of thinking. We need to take dense materials and “unpack” them, storify them, have students get active and hands-on, break ideas down into simpler understandable terms, analogies, etc. The best teachers excel at this. This what DeWitt referred to as “the vernacular of teaching”. The majority of students learn through effective teachers’ vernacular approaches, not by reading dense textbooks. The vernacular doesn’t “live” anywhere. It exists in conversations in teacher’s lounges, in their thoughts and efforts to break down materials so they can be understood. It’s not in the textbook, it’s in teacher’s minds and thoughts, and it is passed on to students. Students will remember stories, analogies, not incomprehensible sentences in textbooks. It takes detective work to even begin to understand the precise language of many textbooks. With the flipped model, we’re able to explain these concepts with visuals and accessible language. For example, the conceptual vernacular model of ionic bonding taught by numerous teachers in flipped videos can’t be found in any text book! By teaching the foundations through effective videos we can then explore the deeper concepts in class. This is where we can scaffold on top of the basic understanding we’ve built through effective flipped videos (whether they are ours or someone else’s). This is so much more effective than expecting students to wade through and comprehend a dense textbook. The quote above is was an actual comment that Tyler received on one of his videos on YouTube. We need to get away from the assumption that learning isn’t good unless it’s hard. We need to do way with the underlying sentiment that learning needs to be hard, that school shouldn’t be easy, that it has to be a challenge. Challenges are good, and students should push themselves and experience some failure, but not everything needs to be that difficult. It is the job of good teachers to make concepts understandable. How many students are we turning off with the formalized constructs of education, by the required the memorization of technical vocabulary before they come anywhere near understanding, by playing scales before they come anywhere near a tune? How many cures to disease, brilliant new ideas, innovative solutions to world problems, are locked in the minds of students who we’ve turned off with a rigid, frustrating, utterly un-engaging approach to teaching? Much thanks again to Tyler DeWitt for this inspiring Keynote! He was a great addition to FlipCon 2016. 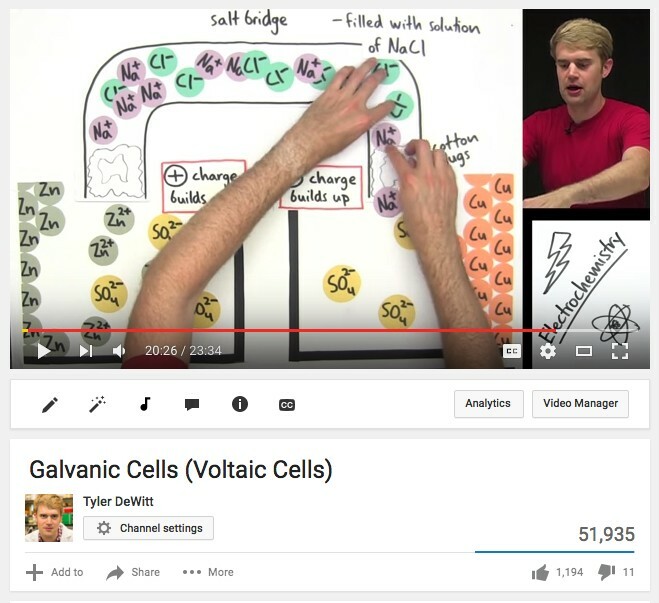 Be sure to stop by and explore his highly popular Chemistry videos on YouTube, and share them with other Chemistry teachers (and any students that might benefit from them! ).